Nobody would frown at the idea of having a couple of free custom ringtones on his/her jailbroken iPhone, but some of us don’t know how to go about it. However, it’s much easier to make your own custom ringtones on a jailbroken iPhone through Cydia ringtone maker apps. You can even use the latest Cydia ringtone maker apps to get free iPhone ringtones. Therefore, we shall be introducing you to some of the Cydia ringtone maker apps that are compatible with the latest versions of iOS, as most of them are not compatible with iOS 12 and later versions. Do you want to customize your favourite music into your unique ringtones for free? iMyFone TunesMate for iOS devices is the iTunes alternative for making and managing ringtones, text tones and alert tones on iOS devices. 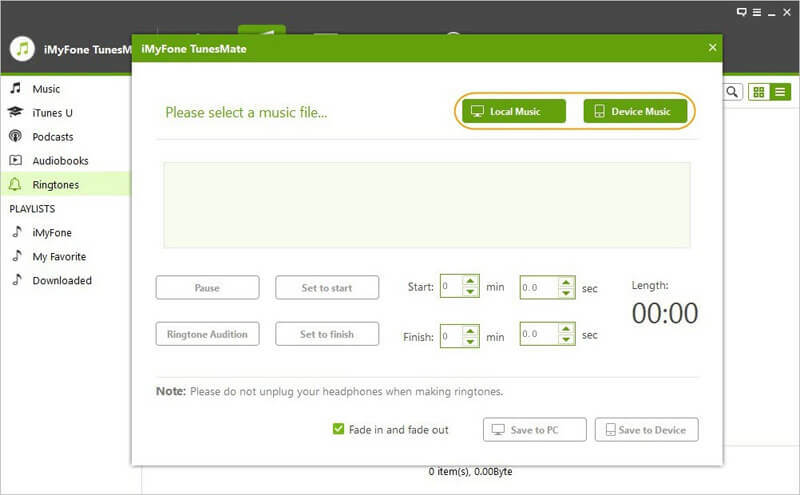 TunesMate can work effectively without opening iTunes or iTunes Library. It can easily making any of the songs into ringtones in your music library, or even from your friends' library with diffferent Apple IDs. It's also fully compatible with iOS 12 and all other versions. Let's check out how it works. Create and upload iPhone ringtones, text tones and alert tones from any song in your iPhone music library or PC. 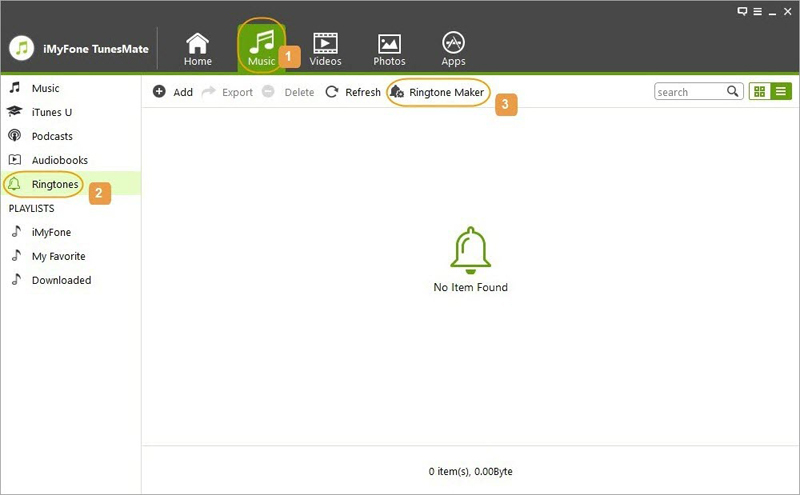 You can create an unlimited number of ringtones and assign them to individual contacts in your address book using TunesMate. Use two-way file syncing features to transfer tones from iPhone to PC, or from PC to iPhone. 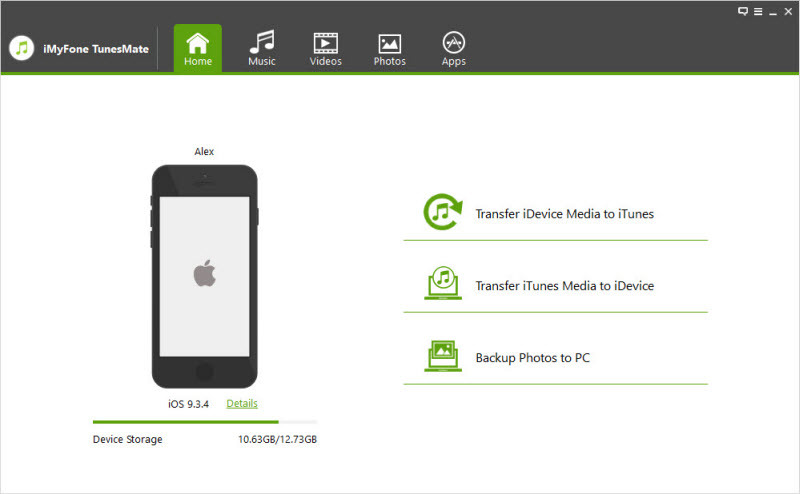 Manage and transfer other media files to iOS devices. Bypass iTunes restrictions and limitations when making ringtones for iPhone. Step 2Once the program is open, click on the "Music" tab at the top of the panel and below the tab click on “Ringtone”, then choose "Ringtone Maker". Step 3You'll be given the option to import a song from either your computer or your iPhone - select the relevant option and locate the song that you want to turn into a ringtone. 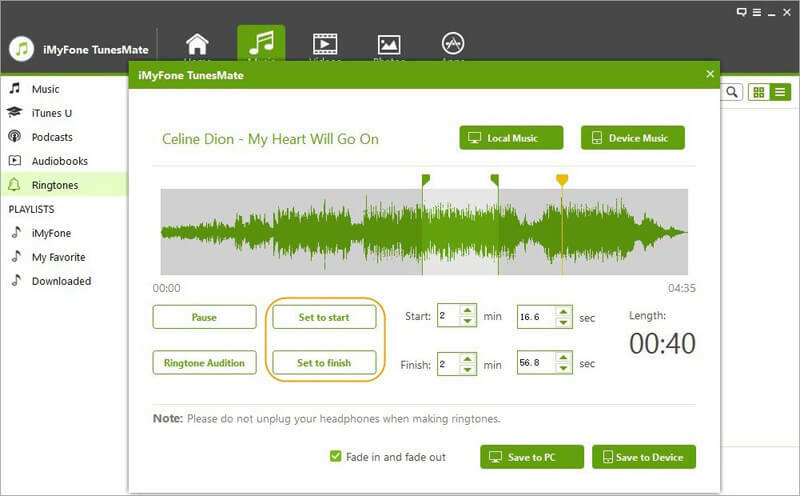 Step 4Once you've got the song open in TunesMate, use the settings available on your screen to convert the chosen song into a ringtone up to 40 seconds. In the following paragraphs, we’ve introduced top 3 Cydia ringtone maker apps for the iOS device. The Unlimtones gives you the privilege to start using free ringtones on your Cydia iPhone. It allows you to create unlimited ringtones, text tones, and alert tones using songs in your iPhone music library. 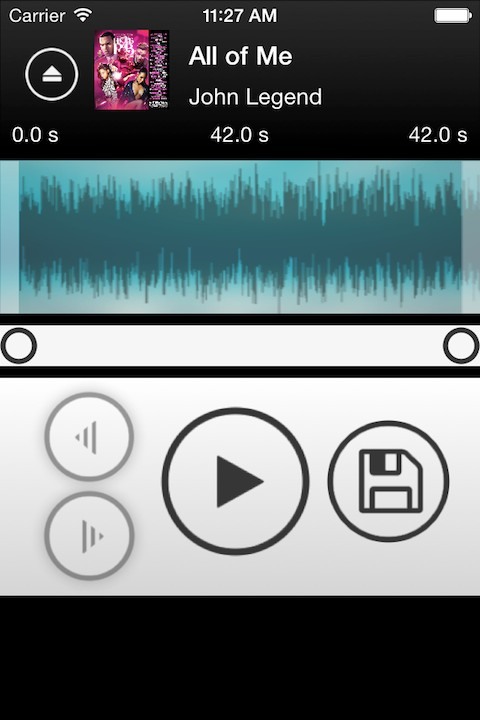 You can also create ringtones from MP3 and music record files via this app. The sleek interface can help you to adjust the ringtone length, you can swipe the audio wave to select a short clip, and you can create a custom ringtone for everyone on your address. The app contains a bug which makes it crash easily, and it can also cause your Cydia tweaked iPhone to crash. When fade in/out is enabled while creating ringtones with Unlimtones, there is a high tendency that the app will crash. The version is outdated and not compatible with latest iOS updates. Unlimtones allows you to make ringtones for jailbroken iPhone, but you must upload the newly created tones through iTunes to get the ringtones into the Settings section of your iPhone. Ringtone Designer is a Cydia ringtone maker for an iOS device that allows you to create unlimited ringtones, text tones, and alert tones from songs in your iPhone music library. You can use the beautiful interface to adjust the length of ringtones. You will also get a free text tone pack from TextRocker.com when you create your first ringtone with this app. Ringtone Designer 2.0 allows you to make ringtones for jailbroken iPhone, but you must upload the newly created tones through iTunes to get the ringtones into the Settings section of your iPhone. There are bugs in the app that causes a crash for songs with no artist. It supports the latest iPhone and iOS versions but doesn’t have much support for older versions of iOS. Anytones is one of the few Cydia apps that are compatible with iOS 11.1.2. Installing this app on your device will require you to preinstall a source called “Hack your iPhone” and afterwards search for Anytones. Once you’ve installed the app, there are options for you to search and create your own custom ringtone by selecting the music file from your iTunes library. All you need to do is to split the songs and save them as text tones, ringtones or alert tones. Anytones allows you to make ringtones for jailbroken iPhone, but you must upload the newly created tones through iTunes to get the ringtones into the Settings section of your iPhone. You’ll need to add a source link before using this app. There are limited ringtone features in this app.